Jason Lang, a 17-year-old student from Taber, Alberta, was “everybody’s best punching bag,” until he was gunned down by a bully. Perhaps Reena Virk, the 14 year old from Victoria, B.C., was “too brown in a predominantly white society,” so she was attacked, brutalized and beaten unconscious, and left to drown by 7 of her schoolmates. All Dawn-Marie Wesley wanted were the taunts and threats to stop. She was terrified of the “toughest girls” in school and felt suicide was her only escape – and said so, on her suicide note before she hung herself with a dog leash. In a historic, precedent-setting case, one of the ‘toughest girls’ has since been convicted of criminal harassment or bullying. The Montreal based punk-pop group, Simple Plan, best known for their mega-hit, “I’m Just a Kid,” had a lot to say on the topic. Lead guitarist, Jeff Stinco, remembers when he was bullied, “To get home from school I had to go through a rough neighbourhood and sometimes I got pushed or made fun of because I was such a small guy.” Stinco eventually realized that the bullies were probably just frustrated with their own lives. Bassist, Sebastien Lefebvre believes, “it’s really the bully who is the loser because he thinks he needs to do stuff like that to bring himself up.” Lefebvre feels that bullies get off on the power it gives them, that is, feeling they have power over someone else. According to Professor Dan Olweus, a bully researcher and specialist at the Canadian Health Networks, individuals who tend to be, “stronger, more aggressive, bolder and more confident than average, typically bullies other students who are weaker, timid and who tend not to retaliate or act in an assertive manner.” It creates a power imbalance, which gives the bully more satisfaction as they ascertain power over the victim. So, forget about trying to ‘fix’ whatever the bully thinks is supposedly wrong with you. Get help. “You’ve got to stop caring about what people think about what you look like or your image. 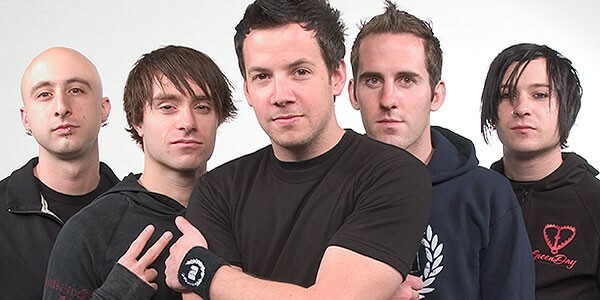 Don’t get caught up in how ‘uncool’ it might seem, just talk to someone about it,” says Chuck Comeau, Simple Plan’s drummer. “You’ve got to go out and find someone you trust, a friend, a parent, just someone you can talk to because that could be the difference between suicide and staying alive,” Comeau says. He feels that no one should have to burden something like this alone. Often people who are bullied are quiet or shy and aren’t willing to defend or stand up for themselves and will need someone else to intervene. So, “If you’re a ‘popular’ person then you’re also a person of power in high school and you should do something. 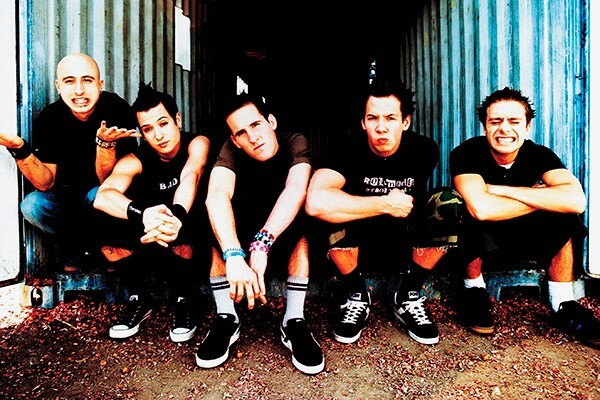 Maybe talk to the bully and let them know it’s not cool,” states Pierre Bouvier the lead singer. Lefebvre recalls, “I saw someone being bullied and went up to him and told him to come hang out with us. That was the end of his being bullied days.” Sometimes all it takes is for an outsider to step in. 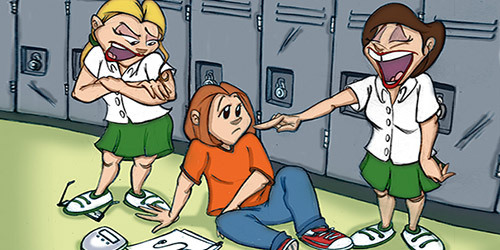 Bullies are very often people who have been bullied or abused themselves and are experiencing life situations they cannot cope with, and this leaves them feeling helpless and out of control. They may have poor social skills, have problems fitting in and probably cannot meet the expectations of their family or school. They bully to feel competent, successful, to control someone else, to get some relief from their own feelings of powerlessness. No. Jason Lang wasn’t everybody’s punching bag. The person who shot him was everybody’s best punching bag. Also, the shooter himself was not a bully. He was the one being bullied by everyone else.